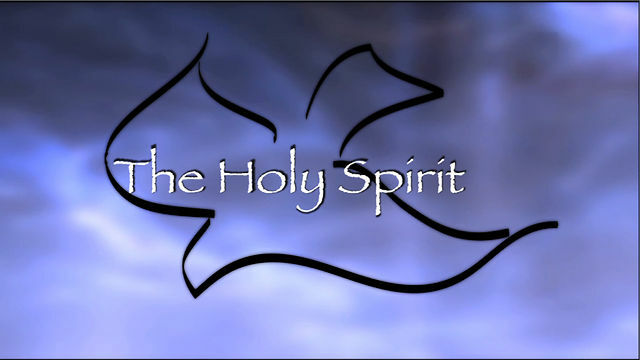 Home Bible Studies About The Holy Spirit Who Is The Holy Spirit And What Does He Do? The Holy Spirit is by far the most misunderstood member of the Trinity. We hear lots of teachings on God the father and God the son, but very few about the divine nature and attributes of the Holy Spirit. 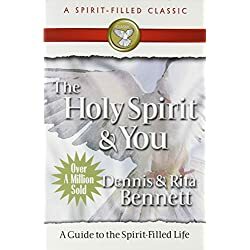 So I decided I would share with you a Bible study on who is the Holy Spirit and what He does. The Holy Spirit is not just a “person,” but He is “divine” person. He is also not just a person unto Himself, but He is part and parcel of the Trinity where the three are one. In Matthew’s gospel chapter 28, Jesus Himself tells the disciples to baptize new believers in the “name” singular, of the Father and the Son and the Holy Spirit. If the Holy Spirit were a separate entity, then He would have used the plural form rather than the singular form. Again we see this relationship and association with the Father and Son in 2 Corinthians 13:14. So let’s take a look at how the Holy Spirit has the same divine attributes and nature as God. 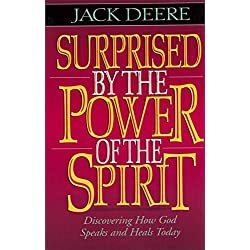 The Holy Spirit is not just something that God thought up to replace Jesus as His representative here on earth after Jesus ascended to heaven. The Holy Spirit has been around since the beginning. Both Jesus and the Holy Spirit were part of God since the beginning. Not only is the Holy Spirit eternal, but the Holy Spirit is all knowing. Jesus said that our Heavenly Father would send the Holy Spirit and that the Holy Spirit would teach us all things and remind us of everything that Jesus has taught. (John 16:12-13) In 1 Corinthians, Paul talks about the Holy Spirit knowing the mind of God. Since we know that God is all knowing, and since the Holy Spirit knows God’s own thoughts, then the Holy Spirit must be all knowing as well. A compelling example of the omnipotence of the Holy Spirit is in the birth of Jesus. When the Holy Spirit came upon Mary and caused her to conceive Jesus, this proved the Holy Spirit is all powerful. This same Holy Spirit is the one who raised Jesus from the dead. The ability to raise someone from the dead is a sign of being all powerful. The Psalmist David expresses so beautifully this fact. The Holy Spirit is everywhere at once. There is nowhere we can go that will hide us from His presence. So once again we see that the Holy Spirit has divine attributes just like God. Here we see that The Holy Spirit was involved in the creation of all things. Only God is the creator. Thus the Holy Spirit must be God. Not only was the Spirit of God at work in the creation of our world and humankind in general, but He is at work in the regeneration of man as well. In John’s gospel, we have the famous passage telling us that we have to be born again. In this passage, it states that the Holy Spirit is the one that gives us that new birth. Jesus replied, “I assure you, no one can enter the Kingdom of God without being born of water and the Spirit. 6 Humans can reproduce only human life, but the Holy Spirit gives birth to spiritual life. Jesus beautifully ties the Spirit’s work in creation with the Spirit’s work in regeneration in a later passage in John. Let me show you both passages so you can see how beautifully He ties both together. Then he breathed on them and said, “Receive the Holy Spirit. Just as God breathed physical life into man, so Jesus breathed spiritual life into the disciples by giving them the Holy Spirit. The King James version states that all scripture is “God-breathed.” The actual Greek word means that it is expired or breathed out. Again we have the concept of God breathing life into something. The Bible is a product of the breath of God. It is the result of the activity of the wind of the Spirit. As we saw earlier, it is the Spirit of God that raised Jesus from the dead. It is also the Holy Spirit that will raise us from the dead on that resurrection morning when Jesus returns. It is also the Holy Spirit that is daily giving us the life of God in our mortal bodies. He is the agent that is transferring that power. The new life you are experiencing in Christ is because of the work of the Holy Spirit. Finally, it is the Holy Spirit that empowers us to walk in supernatural power and ability so that we may be witnesses of the reality and truthfulness of what Jesus has done for us. But you will receive power when the Holy Spirit comes upon you. And you will be my witnesses, telling people about me everywhere – in Jerusalem, throughout Judea, in Samaria, and to the ends of the earth. A witness not only tells people about an event, but a witness has also experienced that event. To share that experience, they need to be able to recreate or demonstrate that experience. The Holy Spirit is the one that empowers us not only to tell people about the resurrection power of Jesus, and that it is real, but to show them by example and even supernatural ability that it is real. So the Holy Spirit is the one at work in giving us that ability. 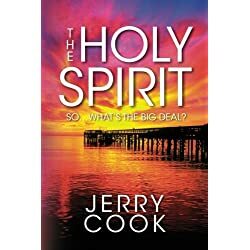 I hope that now you have just a little bit clearer understanding of who the Holy Spirit is and what He does and that if you did have misunderstandings about who and what the Holy Spirit is that they have been cleared up. Let’s no longer let the Holy Spirit be the most misunderstood member of the Trinity.